Many flowers can be sown direct from spring, of course, or planted from garden centre plants or plugs later on, but there are good reasons to start plenty of them off from seed now. Garden centres still have lots of bargains in the seed aisles – they like to reduce prices heftily to make way for new spring stock, so grab some on the cheap now. That’s quite a number of plants for the grand sum of 50p, perhaps, or £1! Nevertheless, seed sowing is cheap anyway, as you’re able to bulk up borders from scratch for not very much money. 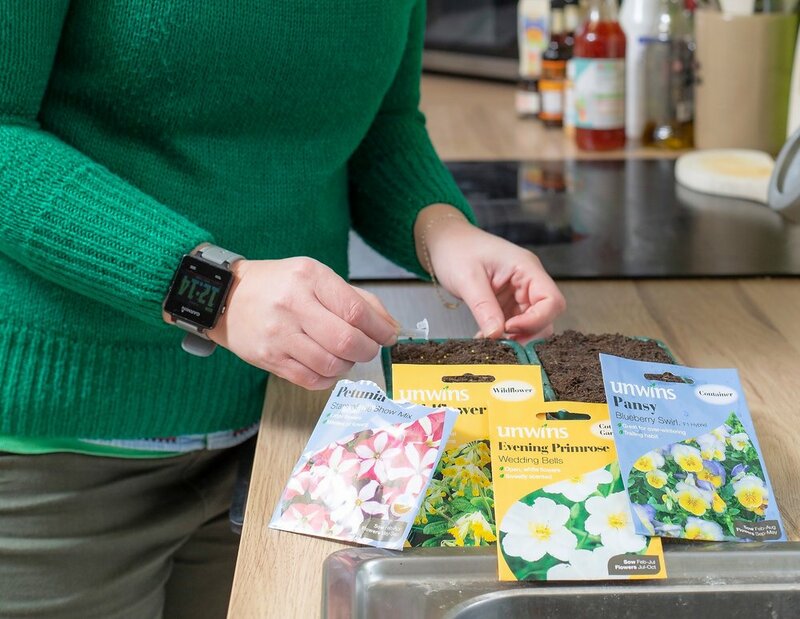 Secondly, starting from seed now means you can exercise an element of control in their growth, keeping an eye and nurturing them to fruition, so you can plant out healthy, well-grown plants from spring. You’ll be able to choose yourself where you plant them out later, plus any donkey work you can tick off early in the year will save you a few jobs down the line. Essentially you need to surface sow your seed onto trays of moist, well-drained seed compost, covering with a very thin cover of compost. Leave at around 18 – 20C, using a plastic bag over the top to up the humidity if needed. Transplant seedlings when large enough into bigger pots and grow on, planting out in late spring.